On August 8th, 2018, Florida’s Third District Court of Appeal ruled in favor of a commercial landlord in a complex lease renewal dispute. In the case of Jahangiri v. 1830 North Bayshore, the appeals court declined to uphold a renewal clause included within a commercial rental agreement on the grounds that it was not properly ‘defined’ or ‘certain’. Here, our Miami landlord tenant dispute lawyers analyze this decision and highlight the key lesson that all Florida landlords and tenants can take away from this instructive case. The Jahangiris owned and operated a deli and market at 1800 N. Bayshore Drive in Miami, Florida. They had a five-year lease with their commercial landlord (1830 North Bayshore) that was set to expire in May of 2016. Approximately six months before the lease was set to expire, the Jahangiris notified the landlord that they were interested in exercising their renewal clause. The lease contained a basic, three-sentence renewal clause. However, to the surprise of the tenant, the landlord refused to honor the renewal. In response, the tenants took legal action. They filed a lawsuit seeking a declaration that they properly exercised the renewal clause in their lease and seeking a court injunction to stop the commercial landlord from evicting them. The primary issue in this case was the lack of clarity in the renewal clause contained within the commercial lease. While there was such a clause, there were questions regarding the precise terms for renewal. For example, the renewal clause contained no specific amount for ‘rent’. The plaintiffs argued that the amount could still be determined or that it would simply be the same amount as before the renewal. However, the commercial landlord quickly moved to get the case dismissed on the grounds that the renewal clause was unenforceable because it lacked essential terms. In the end, the appeals court agreed with the landlord. Due to the fact that the rent and other key terms were not specified, the lease simply could not be enforced. The tenants’ claim was dismissed. For a provision within a lease to be enforceable, it must be properly drafted. A commercial lease that does not include essential terms, as occurred in this case, could potentially be thrown out by the court. This is not merely limited to renewal provisions; all provisions within a lease must be carefully drafted. If you are a commercial landlord or commercial tenant in South Florida, and you are agreeing to a multi-year lease, you need to ensure that your agreement has been drafted or reviewed by an experienced attorney. 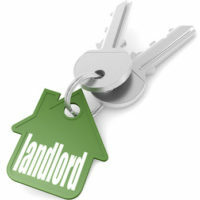 Too many landlords and tenants end up in a financially difficult decision because of defects in their lease. At Pike & Lustig, LLP, our legal team has extensive experience representing commercial and residential landlords. If you need help drafting, negotiating, or litigating a lease, please do not hesitate to contact us today. With offices in Miami and West Palm Beach, we handle landlord-tenant cases throughout southeastern Florida.